Digital accessibility means ensuring information can be reached, used and understood by any person, on the wide range of digital devices we have available. Some people experience barriers to the digital world due to reduced visual, hearing, motor or cognitive abilities. However, the concept of accessibility relates to all users and the different needs everyone will have at different stages of their life. Someone’s ability to access information can also be due to a slow browser, older computer equipment or using a mobile device. It’s imperative no one is excluded as many services are moving online, and in some cases are only online. Fortunately, there are devices and technologies that can assist people in accessing the internet and the information they require. This hardware and software is an important aspect, and equally important is the research, content and user design that creates the websites. Those who work in the areas of website development and design have a responsibility to incorporate accessibility at each stage of planning, starting at the very beginning. With thoughtful implementation, the internet can be the level playing field it should be. Connect Your Brand with Your People, and Others Who Become Your People! Reaching your target audience is increasingly achieved through digital channels. To receive your online messaging, the public needs to be able to access it; a perfect example of why digital accessibility matters to you in a number of ways. Thinking ahead and planning for the additional needs of consumers with potential impairments, can create the top-level interaction you are hoping for, and very satisfied customers. Aside from advertising, all companies and organizations that show their commitment to accessibility through their own online presence can potentially receive an array of benefits, including; strong brand reputation, higher sales and customer loyalty, and employee satisfaction and retention. It also demonstrates corporate social responsibility, and putting the needs of our community high on the agenda. Plus, there’s the employment angle. Businesses with accessible websites and intranets make it easier to employ people with disabilities, therefore creating a more inclusive and diverse culture in the workplace and beyond. Have You Considered the Legal Aspect? Websites can be accessed all over the world, and different countries have varying standards and laws to govern equal access for all. In Norway it is illegal to have an inaccessible website, with fines for companies that don’t comply. Happily, this has increased the need for all those involved in website development and creation to include planning for digital accessibility from day one. Research and inventions to help those with disabilities have flowed through to our mainstream life. We think of Siri and voice recognition as nothing new these days, but it’s good to reflect on the beginning of these technologies, which were based on increased accessibility. Responsive website design for mobile devices is another example. It creates the ability to browse the web without a mouse, and accessible websites were the early success stories in this format, as they were more mobile-ready. As technologies advance, there’s plenty of scope for new ideas to help achieve equal access for all, perhaps the next big thing will be from you? We’ve talked about the ‘Why’, and you may be wondering about the ‘How’. 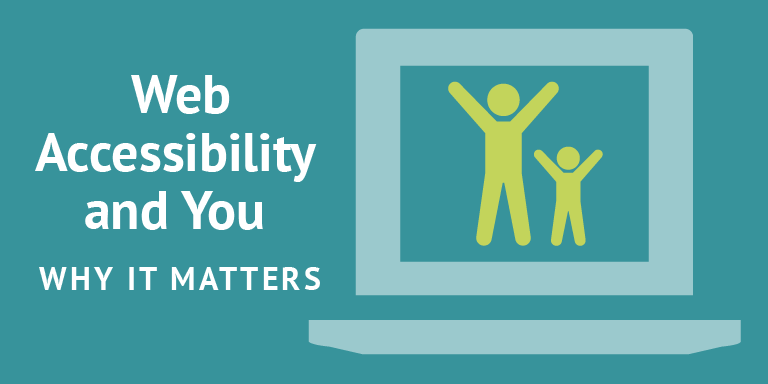 There are many online resources that cover best practice for digital accessibility. w3.org/WAI/test-evaluate – Extremely practical and helpful. This page becomes a basic checklist with many examples and thorough information. usability.gov – The ‘How to and Tools’ section is particularly helpful, including downloadable forms and templates plus a wealth of other content. It is useful for planning all aspects of a website, from the earliest stages. nngroup.com/reports – Download the free report, “Usability Guidelines for Accessible Web Design.” This report focuses on designing websites for people who are using assistive technologies such as screen readers. It offers tips to ensure ease of use for everyone. Conquer Your Website Design Accessibility and Inclusion Challenge - From your go-to source of knowledge and best practices! Our own Pat Heffernan covers accessibility guidelines and regulations we all need to know. There are excellent examples of what to do and what not to do, plus further resources. Typography For Aging Audiences – Couldn’t resist, another one from Marketing Partners, these articles are so good! When you think of the percentage of our population who are older adults, this becomes essential reading. 8 Guidelines for Exceptional Website Design and Usability – Clear and easy to follow notes on the essentials. It’s a quick read and contains helpful examples. The pace of digital advancement has been fast and shows no signs of abating. We cannot leave anyone behind as we create new ways to communicate, do business and receive services. Every one of us will at some point be older with aging eyes, have a health issue, suffer from a migraine or find ourselves unable to see the screen due to sunlight. Together, with those in our communities with more significant disabilities, we will all benefit from inclusive technologies and an accessible online world we rely on each day. When businesses and organizations combine the resources available with strategic planning from day one, our world wide web will truly be a better place! Quote source: https://www.w3.org/WAI/business-case Published 9 Nov 2018.
org. “The Business Case for Digital Accessibility.” Web Accessibility Initiative (WAI). Accessed March 27, 2019.https://www.w3.org/WAI/business-case/.